Access Across Arizona is an initiative to increase news coverage in Arizona communities often underreported by mainstream news media. Using advanced cellular broadcast technology, Cronkite News students travel to Arizona’s rural communities to produce broadcast, digital and live-television reports via Arizona PBS. This technology was made possible by a grant from the ASU Foundation and Women & Philanthropy. 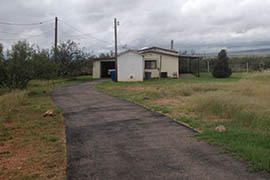 BISBEE – Four miles from the border, the prefab house sits on acres of land. The closest neighbor is more than a mile away. 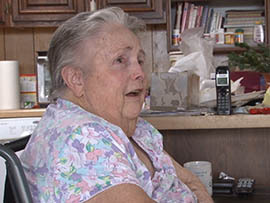 Sheila Goar, 74, has lived on this land her entire life. She is the only member of her family left in the area, with a sister she doesn’t speak to and a brother in Idaho, she used to rely on distant neighbors and friends who occasionally checked in on her. “The sheriff’s department is the closest – might as well say ‘relative’ that I have,” she said. Goar was the first community member to sign up for the Are You Okay program, which the department established for residents who need someone to check in on them but don’t have a support system to turn to. The phone call is an automated message and can be scheduled for as many times a week as needed to make the user feel safe. When Goar answers the call, a voice prompt asks her to press 8 to verify that she and not a machine has answered. Carol Capas, public information officer for Cochise County Sheriff’s Office, has worked on the program since the beginning. She said there were challenges in getting it off the ground. Grants from the local Chamber of Commerce and United Way covered that. The program launched in 2010, but Sheriff Mark Dannels and his staff started promoting it on the Web only recently. At present, 15-20 people use it. Cochise County is over 6,200 square miles and has 84 sworn officers, including administrative staff. Capas said the program actually saves time for officers. Capas said she believes they have saved a life. A community member she declined to name went into diabetic shock. 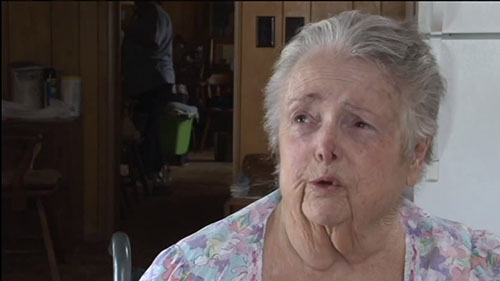 After she neglected to answer the Are You Okay phone calls, the police found her unconscious but breathing in her home and were able to get her the help she needed. Not every interaction ends that well. Shelia Goar neglected to notify Are You Okay that she was going to a doctor’s appointment and wouldn’t be able to answer her phone. When police arrived to check on her, they could hear crying in the house and broke through the glass door. “They heard my dog cry and thought it was a person,” Goar said. For Cochise residents with a limited support system, an automated phone call checking in can be reassuring for both residents and officials. Cronkite News reporter Analise Ortiz traveled to Cochise County to check out the program. 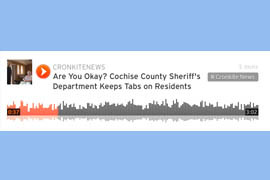 Experience Cochise County's program through this audio report. 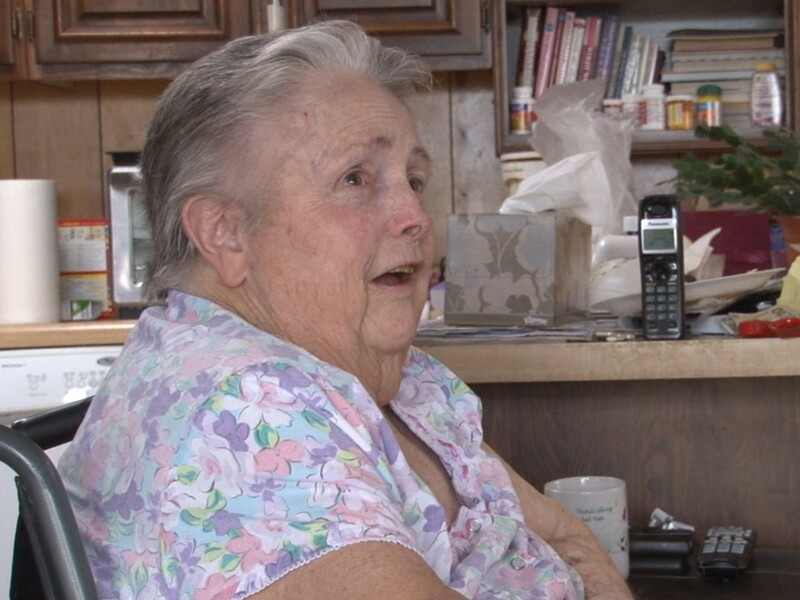 Sheila Goar, a 74-year-old Cochise County resident who lives near the border, relies on her daily, automated phone call each morning from the Cochise County Sheriff's Office under the Are You OK program. Goar lives a mile away from her closest neighbor.